Philippines Stock Exchange Index rose again this Friday. PSEi ends early trades up 0.54% or 37.15 points to 6,894.63. Almost hitting 6,900! This week is so exciting. 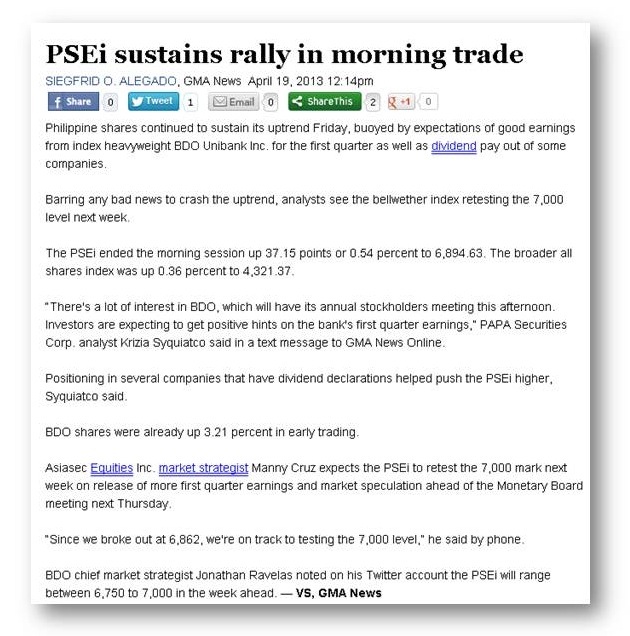 Here's a recent business news about Philippines stock market from GMA News. Read below. "Philippine shares continued to sustain its uptrend Friday, buoyed by expectations of good earnings from index heavyweight BDO Unibank Inc. for the first quarter as well as dividend pay out of some companies. Barring any bad news to crash the uptrend, analysts see the bellwether index retesting the 7,000 level next week. The PSEi ended the morning session up 37.15 points or 0.54 percent to 6,894.63. 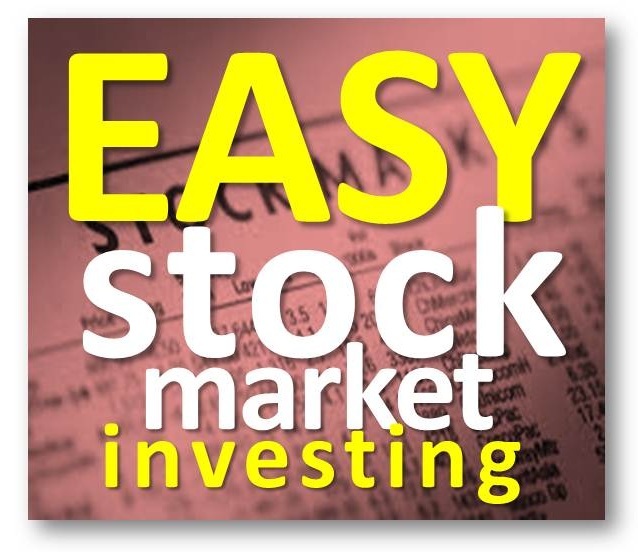 The broader all shares index was up 0.36 percent to 4,321.37." 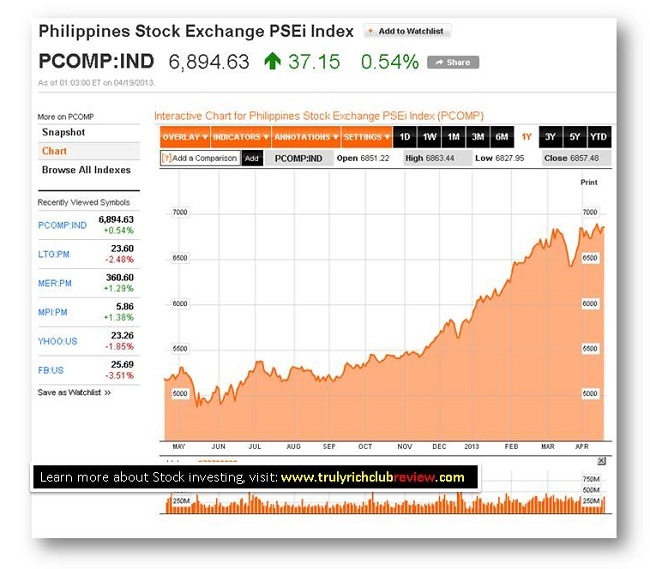 The image below is from the website bloomberg.com showing the one-year trend of Philippines Stock Market index.